Moderate wear, some rubbing to spine. Corner crease on front cover. Telephone number in small ink writing on corner of front cover. Text clean, lightly toned. Includes 12 pp. b&w photos, mostly from newspapers. 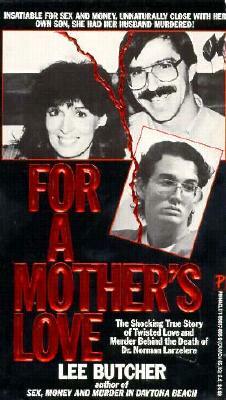 True crime narrative of the trials of Virginia Larzlerere and her stepson Jason, accused of murdering her dentist husband in Edgewater, Florida, in 1991. She was convicted but the stepson was acquitted. Keywords: CRIME. Murder. Florida. Edgewater. Dentist. Adultery.